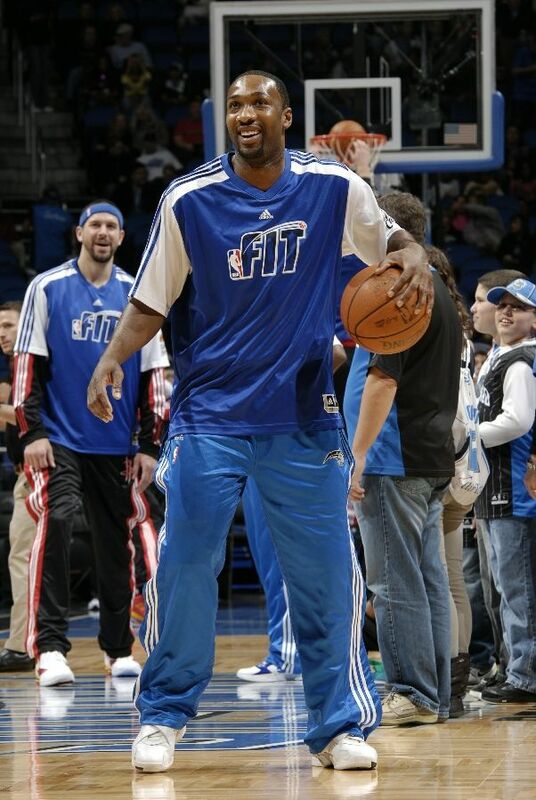 Gil rocks the 2003 Jordan retro as the Magic continue their winning ways. 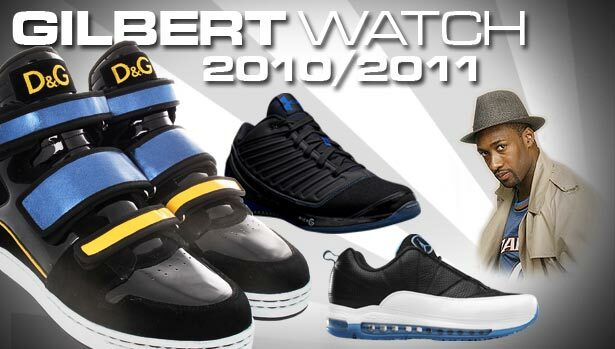 One of the things that have made Gilbert Arenas' season of grab-bag sneaker selections stand out from others we've seen is how far back he's taking it with his picks. Not limiting himself to recent releases or shoes that are given to him, Gil is literally sifting through his personal collection for his night-to-night footwear. 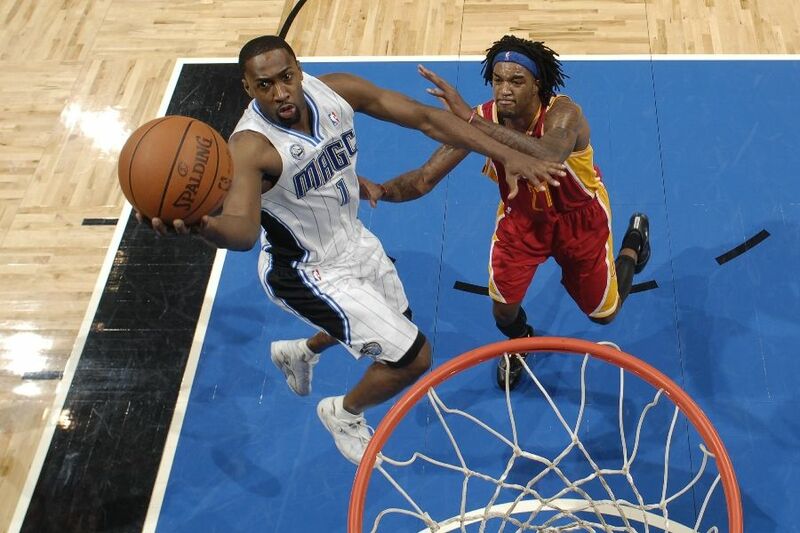 Take Friday night's game against the Houston Rockets for example. Orlando Magic beatwriter Evan Dunlap noted on Twitter that he spotted a pair of White/Carolina Blue Air Jordan Retro 12s in Gil's locker. So while we're all ready to see the 12s hit the court, Gilbert emerges from the locker room in a completely different Jordan Retro - the "Chrome" Air Jordan Retro 8 Low from 2003. Gil continued to struggle with his shooting on the night, but made a solid 'across-the-board' contribution. 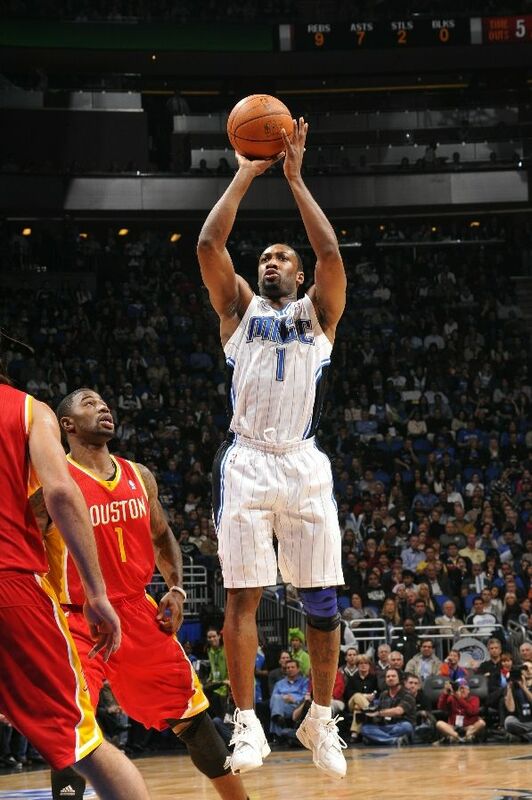 His 8 points, 4 rebounds, 4 assists, steal and block helped propel Orlando to a 110-95 win, making it 8-straight for the Magic.